As it is now, advertisers make the decisions about the media, not the people, because the media exist for the purpose of making money. . . . The fact that people with money can hire lobbyists to represent them in Washington limits equity in the political system. Poor people don’t have the money for this—if they spent everything they had, they couldn’t get enough money together to equal the lobbying power of the rich. After an election, people don’t have access to government, because lack of money prevents them from having equal access to the people in power. That’s an inequity that’s built into the system. That’s where money is more powerful than people. People do have a right to vote. But whom do they have a right to vote for? They have a right to vote for whoever is chosen. That’s our dilemma right now. It starts with how much it costs to run for office—it now costs $3 million to run for governor in Tennessee. That rules out a lot of people. So the choice is between two people who are willing to spend $3 million, which is not a democratic choice. You can say that the people have a right to vote, but they only have the right to choose between two millionaires or people whom other people with money are willing to back. An editorial on CNN Opinion purports to explain why the uproar over immigration has gone nationwide, but the authors, Audrey Singer and Jill H. Wilson, both at the Brookings Institution, left out some key factors. The factors they cite are the economic downturn and the increase of immigrant populations in urban and suburban areas from 2000 to 2010. "The friction in places unaccustomed to or unprepared for new inflows of foreigners, particularly those who are assumed to be present illegally, manifests itself in different ways." History is full of irrefutable evidence that when the economy gets bad, scapegoats are targeted, and the worst instincts of humanity reveal themselves. Alabama has asked its citizens to cross invisible boundaries of humanity—waging political battles on the backs of school children, cutting access to the most basic human needs, like water. —Ilyse Hogue. Although most Americans favor reasonable, comprehensive immigration reform, the small percentage of those who don't are the ones who are the most vocal. They believe they have a personal, vested interest in driving people of color out of their communities. Their fear and hatred compels them. That hatred is validated and reinforced by the terrorizing raids of Immigration and Customs Enforcement (ICE). On the other hand, few of those who favor reasonable reform are as compelled or as vocal. Because they may not feel that they personally have a vested interest in the outcome, they keep silent while the xenophobes freely and prolifically spew their hatred. Another reason anti-immigrant uproar has gone nationwide is that there's a lot of money being funneled into it. And capitalism, whose great golden calf is the bottom line unhindered by any moral compunctions, is always in favor of cheap, exploitable labor with no legal protections. Just ask the booming prisons-for-profit industry. Immigrants are not the cause of unemployment in the United States. Empirical research has demonstrated repeatedly that there is no correlation between immigration and unemployment. In fact, immigrants—including the unauthorized—create jobs through their purchasing power and their entrepreneurship, buying goods and services from U.S. businesses and creating their own businesses, both of which sustain U.S. jobs. The presence of new immigrant workers and consumers in an area also spurs the expansion of businesses, which creates new jobs. We have to realize that we do indeed, all of us, have a stake in what happens to the immigrants in our midst. 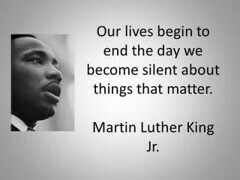 We must raise our voices above the uproar and advocate for common sense and compassion. 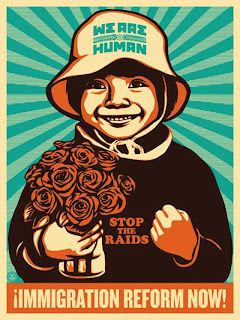 The immigrants among us are our brothers and sisters, and in answer to a very old question, we are indeed their keepers. No matter how outraged you are, it's impossible to keep up (h/t Lily Tomlin). In last week's installment of "Let's Hope No One's Paying Attention," the Bank of America moved uninsured Merrill derivatives to its commercial bank's federally insured ledgers. In other words, if Bank of America fails, the FDIC must clean up its mess. And apparently the FDIC isn't any too happy about it. But the Fed is reportedly all in favor of the move. Matt Taibbi explains: "Essentially, an irresponsible debtor, B of A, is keeping a loan shark from breaking his legs by getting his rich parents to co-sign his loan. The parents in this metaphor would be the FDIC." Actually, the "parents" would be both the FDIC (Mom) and the Federal Reserve (Dad). But Dad is egging the miscreant on instead of calling him to account. 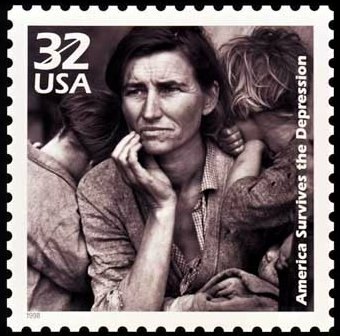 The Federal Deposits Insurance Corporation was created by the Glass-Steagall Act of 1933, when Depression with a capital D had brought the country to its knees, leading to the bank panic of 1933. The Glass-Steagall Act separated investment banking from commercial banking in order to protect depositors (like you and me) from the risk inherent in investment banking. In effect, it prevented Wall Street from gambling with money deposited in commercial banks. And it created the FDIC to protect commercial banks' deposits. 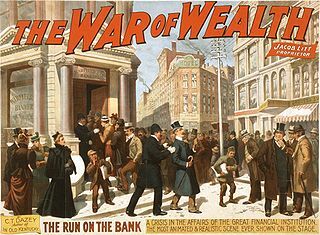 In 1999, Republicans, enjoying a majority in both chambers of Congress and counting on nobody paying attention (all too often a safe bet), passed the Gramm-Leach-Bliley Act, which repealed the part of Glass-Steagall that prohibited a single institution from acting as any combination of an investment bank, a commercial bank, and an insurance company. During the debate over the Gramm-Leach-Bliley Act, Rep. John Dingall (D-Michigan), eloquently warned of the consequences: "Under of this legislation ... liability in one area is going to fall over in the liability of the next. Taxpayers are going to be called upon to cure the failures that we're creating tonight. And it's going to cost a lot of money." Unfortunately, none of the actors here went on the record to explain what's going on. We don't know what kinds of derivatives these are, or even the dollars at stake, only that they are big enough to make the FDIC upset. The entire story would be playing out in secret were it not for some unidentified whistleblowers who seem to have this crazy idea that the public should be informed about what the regulators and Bank of America are up to. We've been told the Dodd-Frank Act passed by Congress last year would end federal bailouts of large banks. It doesn't exactly do that, though. Taxpayer money still would be at risk in the event that the FDIC has to exercise its new resolution powers. ... While the law says the FDIC is supposed to tap the banking industry to pay for any eventual losses, it's hard to imagine the agency could ever charge enough to cover the costs from a failure at a company with $2.2 trillion of assets. So in spite of the outcry of Occupy Wall Street, the behemoth Bank of America, in all of its too-big-to-fail glory, is still acting as though no one is paying any attention. Hiding behind the voluminous skirts of the FDIC, whose deposit insurance "is backed by the full faith and credit of the United States government," B of A continues its dance of privatized profits backed by socialized risk. Where are the decriers of socialism when you need them? Corporate members of the American Legislative Exchange Council write model legislation and pressure state legislatures to adopt it. These laws break unions, take away worker protections and environmental regulations, capture control of government for use of corporate interests at the expense of the public good. They include: AT&T, Kraft Foods, UPS, Walmart, Amazon.com, FedEx, Frito-Lay, HP, JC Penney, McDonalds, Microsoft, Miller Brewing Company, Outback Steakhouse, Sprint Nextel, Sony, Time Warner, United Airlines, Verizon, Visa, American Express, KFC/Taco Bell, Walgreens, and hundreds of others. Money you spend there will be used as weapons against democracy, against the middle class, against the environment, against civil liberties. Check the list before you buy. Shop at the smallest, most local places. For Whom Does the Post Exist? 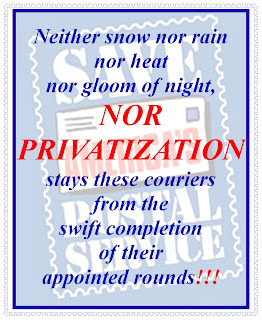 Postmaster Mark Jamison writes an excellent article in Steve Hutkins' wonderful blog, savethepostoffice.com, about the big issues: does USPS exist merely to serve advertising mass mailers, or does it have an obligation to serve the nation? USPS management and frequently its Office of the Inspector General, and many of the people on the Postal Regulatory Commission, on the Board of Governors, in Congress, and the president, have the wrong answer. If you missed it last night, or you've turned your television off like we have, you can watch Frontline: Lost in Detention online (54 minutes). Not for the faint of heart, it shows the abusiveness and insanity of US immigration enforcement. Because of the likelihood of abuse, a few things should never be privatized. Prisons, health care, and education are at the top of that list. Capitalism is fine. 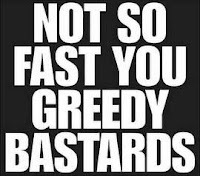 But when it morphs into unbridled greed, as it clearly has done, it can only lead to human suffering, gross injustice, and economic collapse. Alabama's new anti-immigrant law is already hurting its farmers, because much to the surprise of Governor Bentley, most U.S. citizens really don't want to do farm work. "Jobless resident Americans lack the physical stamina and the mental toughness to see the job through," says Alabama farmer Jerry Spencer. There's a certain measure of desperation, determination, and fortitude required to do that kind of work. Most of us aren't that desperate, determined, or tough. But if the economy and our elected officials continue on their current path, it's likely that our children will be. 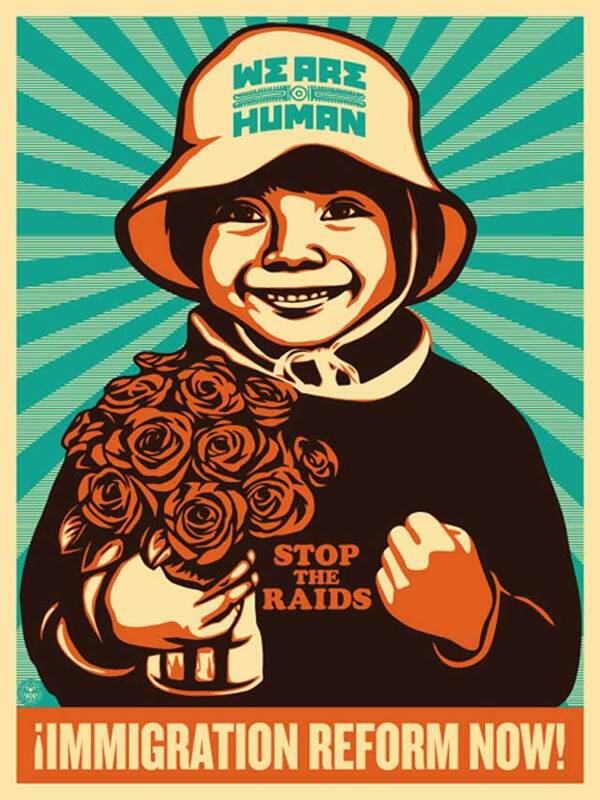 All human beings are migrants. We are born into this life, we stay for a while, and then we move on. None of us are permanent residents. In the meantime, we go where we believe we have the best chance to provide for our families. Those who are desperate, determined, and strong enough to do the work that U.S. citizens do not want to do, who see grueling farm work as their best chance to provide for their families, pose no threat to anyone. We need them. And our well-being is tied to theirs. My husband works for the US Postal Service, so the assault on the USPS certainly affects us directly. Nothing short of our livelihood is at stake. But that's only part of why I am determined to do all I can to help save the post office. The loss of the US Postal Service would have widespread and devastating effects on all of us. It would have an adverse effect on our unemployment levels, our economy, our commerce and community life. It is not an exaggeration to say that the loss of the US Postal Service would affect every single person in the country. The USPS is under assault from many different angles: massive closings of post offices across the country, massive closings of processing plants, breaking union contracts to make massive layoffs, going to five-day delivery, reduction of service standards for first-class mail. This is a long-planned and well-coordinated attack, a nightmarish game of Whac-A-Mole with threats on all sides. And not even one mole has yet been whacked. Any one of those threats could lead either to the complete demise of the US Postal Service or to such a serious downgrade that the USPS would essentially become an arm of the direct marketing association. The US Postal Service is the second-largest nonmilitary employer in the United States, second only to Walmart. In the last four years, the number of USPS employees has been reduced by 110,000, plus another 20,500 so far in 2011. This doesn’t include the 120,000 layoffs the postmaster general wants to make or the 100,000 more jobs to be lost to attrition. That’s a loss of 350,500 out of 645,000, well over half. To so rashly jeopardize so many good middle-class jobs when the unemployment level is so high is nothing but gross negligence and reckless folly. And yet, that’s exactly what the postmaster general is intent on doing. With unemployment rates still perilously high, the number of jobs already lost (130,500) is significant. To lose another 220,000 jobs would have a potentially catastrophic effect on unemployment levels and on the economy. It could be enough to push us into a full-blown economic depression. The Post Office is such a fixture in American lives that we seldom give it much thought. Nearly every town has a post office. Larger towns have several. Your letter carrier will not only deliver your mail but pick up outgoing mail. Many of us give the USPS so little thought that we think we could manage without it no problem. But think carefully for a moment about what your community would be like without its post office. Think about how many times in your life you’ve gone to the post office, how many times you’ve put outgoing mail in your mailbox, how many times you’ve ordered products online that have been shipped via USPS, how many times you've received birthday cards, holiday cards, condolences, and thank-you notes that made your day. Maybe some of us wouldn’t notice much. After all, who writes letters and sends them through the mail anymore? Isn’t it the Internet that connects us all now? But the vast majority of Americans, especially those in rural areas, would feel the loss of the Post Office acutely. Yes, the Internet has bound us together in new and exciting ways, but not in ways that obviate the need for our postal service. Those who want to dismantle the postal service are counting on Americans being asleep and complacent. They know we don't want to lose our post office, they know we'll be outraged, but they hope that by the time we wake up it will be too late. Sign and share the petition to maintain the current service standards for first-class mail. Deadline is October 21, 2011. Send a letter objecting to the USPS's proposal to "relax" first-class delivery standards to Manager, Industry Engagement and Outreach, United States Postal Service, 475 L’Enfant Plaza, SW – Room 4617, Washington, DC 20260, or e-mail to industryfeedback@usps.com. Deadline is October 21, 2011. Sign and share the petition to Congress to keep the USPS from being destroyed. We're planning to close this petition and send it to Congress in the very near future. It'd be great if we could get 3,000 signatures before we send it (we currently have 2,864). Sign and share the WhiteHouse.gov petition to preserve six-day mail delivery. Sign and share the WhiteHouse.gov petition to save the postal service. Stay informed. 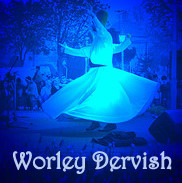 There are already many posts on the Worley Dervish about the assault on the USPS, and we'll continue to post about unfolding developments. There's always lots of good information at Save the Post Office, a website put together by Steve Hutkins. What Does Columbus Have to Do with Me? 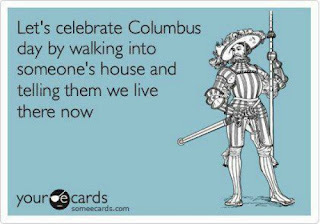 Today in my Facebook newsfeed I’ve seen lots of “Rethink Columbus Day” posts. Rethinking Columbus Day is an excellent idea. Yes, let’s do. Celebrating Indigenous Peoples Day sounds great to me. But let’s give indigenous peoples—and our children—more than just a day off in the fall. The “Ocean Blue” story so many of us were told about Columbus was not just a story about someone who lived in the fifteenth century. It was a story about ourselves. Here’s how the story goes: We, Americans of western European descent, are explorers, adventurers, and, yes, conquerors. We are bold and sophisticated, excelling in written language, technology, and learning. We are the good guys in the white hats. We are rugged individualists who rely on our own ingenuity and resourcefulness to cross the ocean, the continent, the world. But just under the surface of the myth lies the bloody truth: western Europeans raped and pillaged the people Columbus “discovered”; they terrorized them with their brutality and forced them into slavery. The truth should make us squirm. This is a discomfort we need to sit with for a while. We are not who we were told we are. We are not who we thought. No white horses, no white hats. We are descendants of arrogant, avaricious imperialists who thought the only possible value of indigenous peoples of any continent was their monetary value as slaves. I am not saying that we are culpable for our ancestors sins, but I am saying that we are still living with their effects. 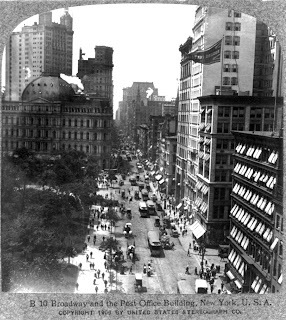 And until we realize that, and soberly weigh our ancestors’ beliefs and culture—and our own, which stem at least in part from theirs—we will not be able to adequately address the violence, greed, and arrogance from which we sprang. No, not everything we inherited from our predecessors’ culture is bad. But neither is it nearly so squeaky clean nor so heroic as we once believed. If we believe the lies we tell about our ancestors, we will believe the lies we tell about ourselves. But if we honestly and soberly assess our forebears, we’re much more likely to be able to honestly and soberly assess ourselves. Imperialism is not just a sin of the past. It has not vanished; it has changed its form and focus. Neither are racism, arrogance, and greed confined to the past. There is no virtue in wallowing in guilt or angst, but a sober and truthful assessment of who we were and who we are is necessary if we are to make real progress in the things that really matter. 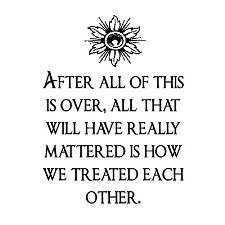 And I believe that when all is said and done, what really matters is how we treat each other, and by “each other” I mean our fellow human beings. If how you see your ancestors affects how you see yourself (and it does), then so too does how you treat others—all others. If you treat all those you encounter in your life—whether in person, online, in the media, or even just in your imagination—with respect and openness, if you assume that everyone is worthy of your time and attention, then you will also know that you too are worthy. We are not defined by the sins of our ancestors. But the sins of our ancestors will live on until we look at them squarely and see them for what they really are. Then, perhaps, we will be free to cultivate respect and humility and compassion—not only for others, but for ourselves and for our children. The management of the US Postal Service has proposed a drastic and irreversible reduction in first-class mail delivery standards. Currently 41.5 percent of first-class mail is delivered in one day, 26.6 percent in two days, and 31.6 percent in three days. The proposal would eliminate one-day delivery altogether. Two-day deliveries would increase to 50.6 percent and three-day to 49.1 percent. The proposed increase in delivery time would be devastating to the many individuals, small businesses, and entrepreneurs who rely on first-class mail. The proposal, the stated goal of which is to “bring operating costs in line with revenues,” would enable the USPS to eliminate 60 percent of the USPS’s processing-and-distribution plants, purportedly to cut costs. But the presumed savings are actually quite small (only $3 billion, or 4 percent of the USPS’s annual budget). All the mail would still have to be delivered. It would just have to be hauled farther to be processed, thus increasing fuel costs and the commensurate harm to the environment. The possibility of raising revenues by increasing prices and expanding services is never mentioned. Bowing to pressure from the Direct Marketing Association, the postal service recently withdrew a request for an “exigent rate increase.” The USPS charges direct mailers less than what it costs to deliver their advertising mail, so in essence the direct mailers are stealing from the USPS with each piece of mail they send. Regarding the withdrawal of the proposed rate increase, Postmaster General Patrick Donahoe exclaimed that the direct mailing industry is “way too fragile” to survive a price increase. Clearly, the health of that industry is more important to him than the health of the USPS. In its projection of the effects of the proposed change in service standards, the USPS does not even mention the American people. It lists only the possible effects on “commercial mailers.” Noncommercial mailers—citizens, entrepreneurs, small businesses, and rural communities—are not given even the slightest consideration. Because the reduction in service standards would enable the USPS to dismantle its extraordinary processing-and-distribution network, a return to the current service standards would be impossible, thus permanently undermining the USPS’s ability to serve the American people, further reducing mail volume and postal revenues, and further imperiling the US Postal Service itself. The vast majority of the American people won’t fully realize the effects of the proposed reduction in service until it’s too late. The notice in the Federal Register invites comments from the public between now and October 21, 2011. Letters may be sent to Manager, Industry Engagement and Outreach, United States Postal Service, 475 L’Enfant Plaza, SW – Room 4617, Washington, DC 20260, or e-mailed to industryfeedback@usps.com. In hopes of gathering more signatures, we have created a petition at Change.org calling for retention of the current first-class service standards. We have less than two weeks to gather as many signatures as possible. Please sign the petition and write your own letter, and ask others to do the same. Once USPS management’s proposal is accepted, there will be no turning back. This article, “Privatised mail: a second-class delivery” in The Guardian sheds light on some of the chaos and hardship resulting from privatized postal service. Undelivered mail stacks up in the apartments of privatized carriers in Holland, who are paid piece rates amounting to far less than the minimum wage. The longer version of the same article, “In the Sorting Office,” in the London Review of Books, includes some of the political history in the Reagan-Thatcher era that brought the privatization about. The winners from Holland’s liberalization of the postal market were the big organizations who bulk mailed. The losers? Almost everybody else. The author, James Meek, wrongly accepts that the Internet necessarily means less demand for postal service. The opposite is true. Customers e-mailing documents to USPS to be printed at and delivered from the destination post office could be the biggest boon to mail since paper. The vultures on the verge of destroying the US Postal Service are not merely circling. They've landed in the nest, ready to plunder and privatize, having fully captured USPS management and oversight. It's clear to many that the the Post Office has enemies in Congress, to wit Rep. Darrell Issa (R-CA), among others. But it's also apparent that there are those in management and oversight who are just as determined to destroy the Post Office, who are in the service not of the American people but of those who consider the USPS their competition and who are eager to devour the advantages it currently maintains. The postmaster general plans to make drastic cuts that will do away with first-class service, give the pickings to FedEx and the like, and continue propping up bulk mailers (who currently pay less than what it costs the USPS to process and deliver their junk mail). Those cuts will devastate small towns and inner cities, reduce the USPS to a third-class bulk mailer, and replace its middle-class workforce with a workforce of the working poor. All this for what? Abdicating 6-day delivery to private postal services would, by Government Accountability Office estimates, save costs of only 4 percent of the USPS budget. USPS management has admitted that it wiped one small-town post office off the map because it "'cost' the USPS $1,500 a year more than it made in sales of stamps and money orders." Never mind the mandate that the USPS serve all Americans. Never mind that the USPS is not meant to make a profit but rather to be a self-sustaining service to the American people. Never mind that closing a post office because it is not "profitable" is against the law. The devastating cuts proposed by the postmaster general—the projected savings of which are absurdly small—will serve only to weaken the USPS, not strengthen it, not put it on firm financial footing. All of the aspects of USPS service that are on the chopping block—6-day delivery, half the distribution network, half the retail network, half the workforce—represent USPS's greatest assets. So why proceed when the financial savings are so small and the resulting loss so devastating? The only conceivable answer is that the intent is not to save money or alleviate the USPS's financial difficulties, but to serve the interests of the vultures ready to devour this national treasure. 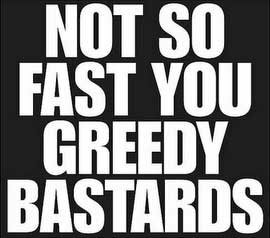 The planned devastation of the USPS is based not on need but on greed. The claim of financial emergency is a pretext to break the USPS up and feed the choice bits to the private mailing industry. The postmaster general says he expects to close 16,000 post offices in six years—that's half of the nation's post offices! And he plans to close or consolidate as many as 313 of the 487 processing plants by 2013—destroying first-class service while estimating the destruction would "save" costs equal to only 4 percent of USPS's budget. When this happens—and USPS management is proceeding fast, in violation of federal law—there will be no more 44-cent postage. Only FedEx rates. There will be no more service to rural, remote, and distressed areas. Newspaper and magazine delivery will be eliminated. The Internet could be the biggest source of new business imaginable. Customers could e-mail documents to the USPS, which would then print and deliver them from the destination post office. This would be a hugely popular service: next-day delivery anywhere in the country, of anything you can send to a printer. Fast, cheap, and hard copy. All it would require is leadership interested in providing a service to the public. But what we have now is leadership more interested in providing profit to private moneyed interests than in serving the American people. That is the end result of setting up a public service to function "more like a business," as was done in changing the U.S. Post Office Department to the US Postal Service in 1970-71. The United States Postal Service is a national treasure that needs to be saved from the formidable forces arrayed against it. And those forces are not only in Congress, but in the USPS itself. Those who seek to save the USPS will not succeed unless they recognize the threat within, and they must do so very quickly or it will be too late. John Nichols writes good Save the Post Office columns in The Nation and The Capital Times. And there's always a lot of good information at Save the Post Office, which Steve Hutkins puts together.